Cauliflower is a cool season vegetable and is the most difficult to grow than the others Brassica group. Though it's a cool-season vegetable, it doesn't tolerate weather that's too hot or too cold, PLUS it needs blanching, to retain its white color. 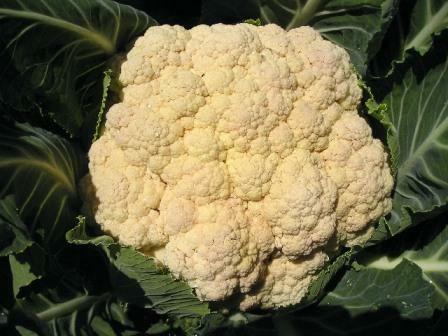 Cauliflower is in the Brassica genus as well as Broccoli, Cabbage and Brussels Sprouts. Viruses - There are several common viruses that can affect cole crops including Turnip mosaic virus and Cauliflower mosaic virus. 'Snowball' - Gardeners have success with this variety.